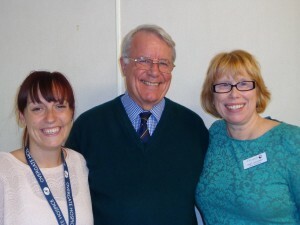 Choir Chairman, John Hone, presented a cheque for £8,500 to Overgate Hospice Chief Executive, Janet Cawtheray, and Fundraising Manager, Laura Golding, bringing the total raised by the Choir since its formation to £253,126. 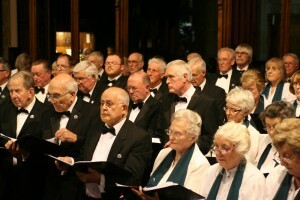 Overgate Hospice is holding an Open Evening for volunteers on Monday 13th. October 2014 from 7.00-8.30 pm. 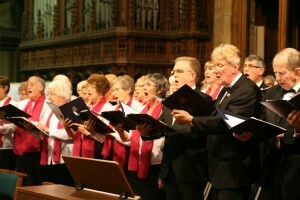 Choir members are welcome. 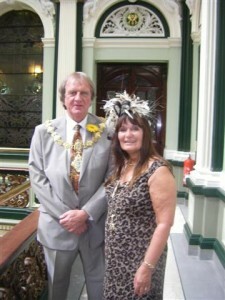 Janet James is pictured with her husband the Deputy Mayor, Councillor Malcolm James, in Halifax Town Hall at the Mayor Making in June 2014. On Saturday 13th. 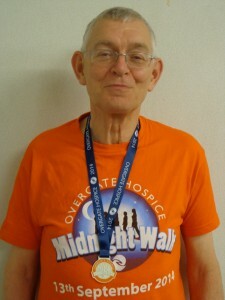 September 2014, choir member Alan Stears raised £533 for Overgate Hospice by participating in the Midnight Walk.